Have you ever dreamt of being Superman? Of soaring through the skies with nothing between you and the ground except thin air? Have you ever wished to move your body faster than you ever thought imaginable? To flash past rocks and fly under bridges? It is the ultimate adrenaline rush for thrillseekers. It isn’t parachute jumping, you would be wrong if you guessed bungee jumping and it certainly isn’t BASE jumping. Proximity wingsuit flying is the latest frontier in daredevil madness. Flying out of an aeroplane or helicopter at several thousand feet, in a winged suit made from Teflon, with the sole aim of flying as close to the wall of a cliff as possible is certainly not for the meek. A paradise for insular adventure seekers, proximity wingsuit flying is gambling with your life. One does not start off proximity wingsuit flying straight away. People who attempt this high-risk sport are usually highly skilled individuals who have a plethora of parachute and BASE jumps to their name. 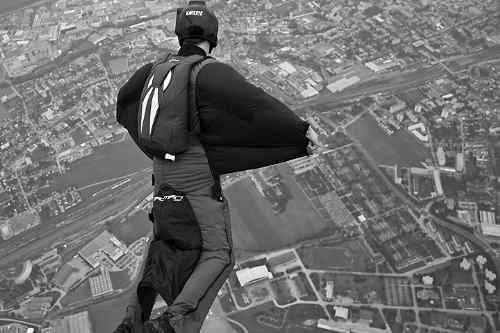 By using a wingsuit, a jumper’s options are greatly increased. The best base jumpers in the world can achieve a one to one (1:1) glide ratio by moving their bodies in certain ways. This means that for every metre they fall, they cover one metre. 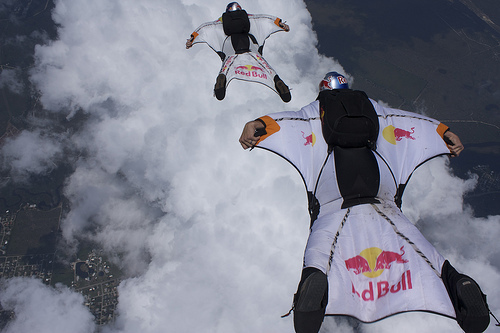 Wingsuits greatly increase this ratio to as much as 6:1 in the case of long distance jumps. But the average wingsuit has a glide ratio of 3:1. 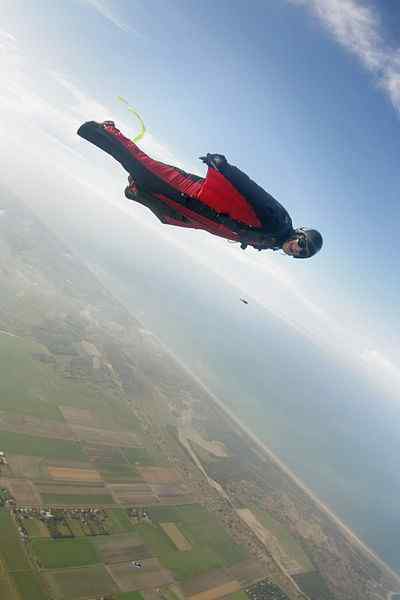 As the jumper is falling through the air, air tubes on the wingsuit are inflated. This essentially imbues the suit with the same characteristics as a fixed aircraft wing and gives lift. One of the more famous exponents of Wingsuit Flying is Jeb Corliss who has jumped from the Eiffel Tower, the Petronas Twin Towers, Kuala Lumpur, and Seattle’s Space Needle amongst others. Corliss, a former television presenter of a programme devoted to high risk pursuits, drew international attention when he tried to BASE jump from the top of the Empire State Building in New York. His jump was thwarted when he was prevented from jumping by security staff. Corliss was lambasted by the authorities for this act and received three years probation and 100 hours of community service as a result. 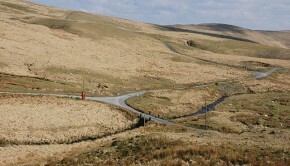 Here is an interesting programme on the motivations behind these daredevil stunts. This wonderfully insightful film from Channel 4 follows Jeb Corliss as he embarks on an odyssey to conquer the fearsome Matterhorn in Switzerland. Bear in mind that you must be 18 years of age to watch this as it is intended for adult viewing.